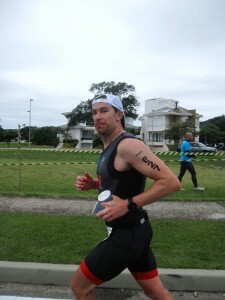 Triathlon Disasters & How to Avoid Them – Fun read! Order TMS coaches Dave Williams’ and Paul Bloom’s book Triathlon Disasters & How to Avoid Them today! A fun and informative approach to help you avoid the plethora of mistakes and mishaps that we’ve done and seen through our numerous decades competing and coaching triathlon so you can enjoy race day. Operating since 2000, Triangle Multisport uses education and experience to foster success and accomplishment in each of their athletes. Our coaches use their own training and racing experiences, combined with top education to provide a solid path toward your goal. Triangle Multisport's ThunderCats Youth Triathlon Team enters it's eighth year in 2015. The North Carolina Triathlon Team has been created to support Juniors (13-19) and Under-25 athletes in the state of North Carolina. We are proud sponsors and coaches of the UNC Triathlon Team! Support us as we train for USAT Collegiate Nationals in Tempe, AZ! Go Heels! The TMS-IOS Triathlon Team is made up of elite multi-sport athletes focused on competing at the highest levels, while helping to grow the triathlon community. A 10-week triathlon training program for athletes of all levels, meeting weekday mornings at Hollow Rock Racquet & Swim Club in Durham.